Definition at line 2642 of file llspatialpartition.cpp. Definition at line 2645 of file llspatialpartition.cpp. Definition at line 2647 of file llspatialpartition.cpp. References LLOctreeState< T >::accept(), LLSpatialGroup::CULLED, LLSpatialGroup::GEOM_DIRTY, LLOctreeState< T >::getChild(), LLOctreeState< T >::getChildCount(), LLTreeNode< T >::getListener(), LLOctreeNode< T >::getOctState(), gPipeline, LLPipeline::hasRenderDebugMask(), i, LLSpatialGroup::isState(), LLSpatialPartition::mRenderByGroup, LLSpatialGroup::mSpatialPartition, LLSpatialGroup::OCCLUDED, LLPipeline::RENDER_DEBUG_OCCLUSION, LLPipeline::RENDER_DEBUG_OCTREE, renderOctree(), renderVisibility(), and LLPipeline::sUseOcclusion. Definition at line 2679 of file llspatialpartition.cpp. 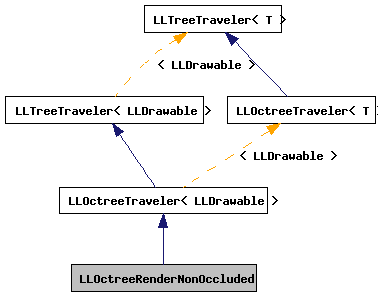 References LLSpatialGroup::CULLED, LLOctreeState< T >::getData(), LLTreeState< T >::getListener(), gPipeline, LLPipeline::hasRenderDebugMask(), i, LLSpatialGroup::isState(), j, LLSpatialGroup::mBounds, LLSpatialGroup::mDrawMap, LLSpatialGroup::mOctreeNode, LLSpatialGroup::OCCLUDED, LLPipeline::RENDER_DEBUG_BBOXES, LLPipeline::RENDER_DEBUG_POINTS, LLPipeline::RENDER_DEBUG_TEXTURE_ANIM, LLPipeline::RENDER_DEBUG_TEXTURE_PRIORITY, renderBoundingBox(), renderPoints(), renderTextureAnim(), and renderTexturePriority().